Authors often dream big, if not wildly, about how many books they will sell. Many books – for the life of the book – don’t crack five digits. 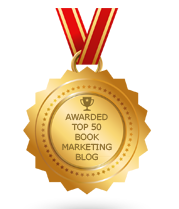 So how many books do you think you will sell – and what’s your marketing plan to achieve that number? Setting goals is the first step in the process, but distinguishing between wishes and reality is important to your success. Some author have no idea what to expect in terms of sales. They certainly don’t want to limit the possibilities of selling a lot of copies, but few have any idea of what constitutes “a lot,” and even fewer have any realistic notion of what needs to get done to get there. Now think about what you would need to do every single day to generate any of the above sales levels. How much time, money, resources, and effort will you need to dedicate to this? Sales won’t just happen out of thin air. It takes persistent, consistent, smart, hard work to break through the clutter. One of the ways to get ahead of things is to work in advance. You don’t wake up today and say that you have to sell 20 or 50 copies of your book. Instead, you plan in advance of the next book and take action steps now that will yield sales 6-12 months from now. How many speaking gigs did you call about today? How many testimonials did you seek out today? How many media outlets did you research today? How many connections did you make on Twitter, Instagram, Facebook, or Linked In today? Plan ahead. Line Up Bulk Sales – Which groups, companies, no-profits, schools, or houses of worship might buy copies of your book to give away or re-sell? Expand Your Distribution – Aside from traditional bookstores and libraries who else can carry your book? Try contacting gift shops, non-book retailers, non-Amazon websites, and affiliate sellers. Partner with Others - Can you package your book with the book, product, or service of another where you cross promote and sell each other’s stuff? Update your Website – Your website is not static. It’s your business card, billboard, and bullhorn. Use it to spread the word about your book and any news relating to it. Post new media clips there. List upcoming appearances to speak. Load new video to keep it fresh. Post something that you’re giving away – a resource – that will generate clicks. Keep Learning – read up on book marketing, sales methods and branding. Things change by the minute. You’ll get better at things not only by practicing them and experimenting but by learning from others. It’s okay to dream a little and to think big, but you have to also act big and do the little things daily that position you to at least have a long shot at success. It takes brains, guts, luck and timing, but you can certainly achieve more book sales this year by empowering yourself rather than merely wishing for things to happen. There’s no definitive formula for sales success, but we know there are formulas for failure. Don’t just dream – act now and often!